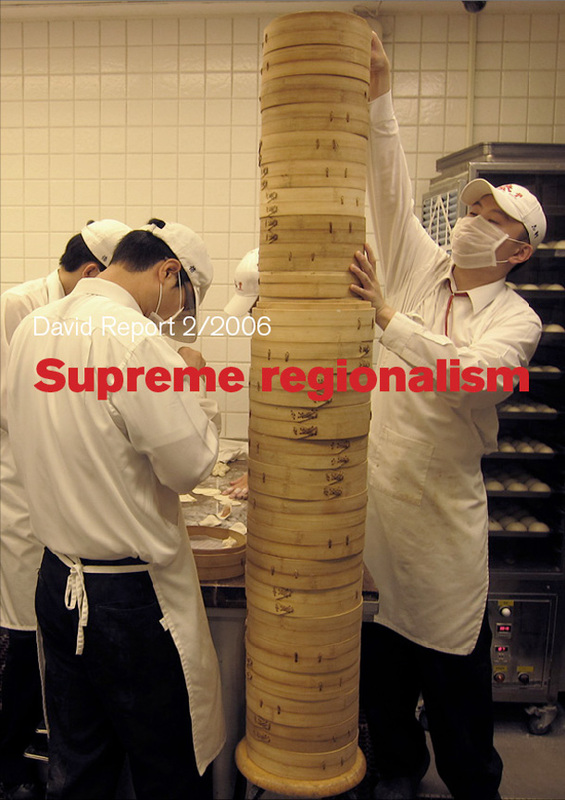 Introduction to the Supreme Regionalism trend report. What is design? And what will it be in the future? Some simple questions, but so hard to answer. To give the future some help and direction, we asked some of our designer friends to give their ideas and visions. How interesting is it to travel to another country or continent, just to realise that you for a moment don’t know were you are. Are you in Tokyo, or New York, or Moscow, or London or… Wherever you go, you find look-a-like airports, shops or hotels. The interior is exactly the same in the hotel in Seoul as it is in San Francisco. You find the same fast-food-chain or superbrand flagship store. And naturally, you find a “popping-up-everywhere” shopping mall nearby, with all the same retailers as you find in every mall. Hurray for us consumers – we can buy the same products wherever we go, and we can look/dress exactly like our neighbours or friends. Boring. Absolutely life-killing boring. Okay, our psychology tells us that we don’t like the unfamiliar; we want to reduce risks (eating foreign/unfamiliar food) and we want to avoid meeting strangers. All this is luckily natural and necessary when travelling and exploring new places or countries. And hand at heart, do you really want to see another superbrand store in Paris or Kiev? We are all living under a cultural “threat” from big nations like USA and strong global brands like Procter & Gamble and McDonalds. Don’t you want to eat local food produced from local products instead? Don’t you want to taste the local wine or the local beer? Don’t you want to meet the origin and the genuine? Or to sum it up: don’t you want to leave the road of mainstreamisation? The globalisation, and the mainstreamisation, erodes the regional, the unique and the genuine authentic. But this is not all bad; at the same time it creates something new and in a total transparent world everyone can see what’s going on everywhere. It will come, or rather, it already exists a reaction against it – supreme regionalism. What is a “supreme regionalism” then? We simply mean that it is “the best for one region” out of several aspects such as quality of life, environmental concerns, progress and evolutional development and a driving force of the local business life. More and more people are looking for the “real” stuff. We are sick and tired of “plastic-fantastic” and want simplicity, quality and the origin. And where to start looking for this, if not in your neighbourhood? Why “go over the bridge after water”, when you find the supreme at home? And by doing this, you take an environmental as well as social responsibility that is absolutely necessary in the long run. You favour and support your local culture and act directly for preservation of the local culture, food, language etc. How long will we continue to transport groceries and other products 2000 kilometres or more just to get slightly lower prices? We must act with concern for life and the future, we can’t have millions of trucks driving all around the world, all the time. We have to rethink this, NOW! One of the organizations working in this direction is Slow Food (www.slowfood.com). They are pushing for small scale and local production to maintain human culture and biodiversity. Oil, as one of a couple of energy sources, is a limited source. In future history books people will probably refer to these days as “The Age of Oil” and they will probably not understand how we in less than a century burned it all, mostly by driving around in our cars, without thinking of the consequences for coming generations. This and other shortage of raw material in general will affect our lives in the future. But does this all have to be bad? As a consequence our children and grandchildren will be forced to act and go local. But they could still act global through an even further developed information technology. Think global but act local, so to say. This milk-based lemonade, which has been on the market since 1952, evokes Switzerland’s identity for me, as chocolate does for Ovomaltine, a typically Swiss chocolate-drink! Rivella is a soft drink, which refreshes and simultaneously contains nutritive virtues! Rivella is a success in Holland as well as in the countries bordering Switzerland, and today you also find Rivella Bleu (light) and Rivella Vert (Green tea). But regardless of product evolution, my favourite is the original Rouge version! Art, Architecture and Graphic design are three creative fields where Switzerland currently seems at ease on an international level. Graphically, the work of trio DIY (a diminutive of Do It Your Self) fills me with joyful enthusiasm, when mixing hip hop side by side with immediate rap, strong black/white graphics, a fashionable twist and a Swiss rigour which I find very aesthetic. They re-designed the layout of the magazine Party News; they designed an issue of Colette’s fanzine; they have a clothing line: baptized +41 and they are also creating posters for museum/films. DIY designed my last compilation, Calming Park 4. The country cottages remind me of my childhood and bring back memories of winter holidays spent in our family country cottage. In Switzerland, the country cottage is rather regarded as a second residence even if some live there permanently, especially in the mountains of le Valais (Zermatt, Crans-Montana) or les Grisons (St-Moritz). Often related to winter sport, the country cottages evoke a collective image behind skiing and mountain-ism that boomed in the seventies. Today, the country cottages remain a second home especially appreciated due to easier mobility. Less expensive travelling costs blur the tendency of growth, and some prefer to rent the country cottage rather than to buy one today. How long will some of today’s countries remain in their nation-state construction considering history, local heterogeneity and structure? For how long will Corsica remain to France? Or Catalonia to Spain or Lombardia to Italy? Or Skåne to Sweden? Think of the former Soviet Union and Yugoslavia – social and economic constructions made by power structures or other “threats”. History comes to you sooner or later – you can run from your history, you can even run fast, but you can’t hide! What is keeping countries together today? Is it language, religion or old habits (social constructions made X years ago)? Or the economy? Today, with all kinds of technology, we are not forced to interact with physical neighbours – or rather, we have the possibility to have friends in small micro communities all over the world and we communicate via the phone, web cameras, internet, Skype, sms etc. It’s not the physical border that gives a country its identity. It’s the culture and interpersonal interaction that rules. In above examples there are several distinctions in each country’s identity. Take the example of our “home county” Skåne: the culture of Skåne, in southern Sweden, has not so much in common with the culture of Norrbotten in the northern most part of Sweden (it’s about 1900 km from Malmö to Kiruna, a town in Norrbotten). Compare this with 40 km to Copenhagen, 500 km to Berlin or 1500 km to Milan (all from Malmö). It’s not the nation-states political borders that’s the glue! So, has mankind learned the lesson yet? History tells us that borders or state constructions don’t rule. It’s the local identity that rules, and will continue to do so. Decentralised Bazaars instead of centralised Cathedrals? solutions) lose their power to the Bazaars (small decentralised and mobile/quickly adaptive solutions). In one end of the continuum today you see the ”low price force” – buy everything as cheap as possible, branded goods as well as food. Or food by the way, sometimes it’s more of “refined waste” as Jamie Oliver called it in his crusade for better food in the schools of Britain. Unfortunately there is lack of both social and environmental responsibility connected to the “low price force”; there is a huge difference between cheap and price-worthy. Think of the complete lifetime of the product: a price- worthy product perhaps cost more initially but it last longer. A cheap one needs to be replaced shortly due to bad quality, bad design or other inconveniences. pay for quality, and this is not only a poor/rich issue. It’s a question of knowledge and a will to get a good life. difference… Today (in most of the developed world) we can choose to buy, or not to buy, almost all existing products or goods. It’s the will what to buy that rules. We will become local cosmopolitans. Safety is on our mind. We are looking for secure places with a good infrastructure such as small villages or cities near nature. Todays nervous terror climate makes fewer people comfortable in larger cities. The faster the globalisation travels, the more uncertain we will become and thereby an increasing demand for safety and closeness grows. Such as preparing food along with friends or discussing around the open fire. But we still don’t want to live too far away from a big city or an international airport. Living and interior design will become even more important attributes. We have seen a clear trend in the last years of how cocooning is back again, but partially in a new style. Instead of becoming hermits and totally shielding ourselves off from the world, we have today other possibilities to communicate via the information technology. The Slow City (www.cittaslow.net/world/) movement encourages development of broadband technology (among a lot of other good things) which will make working out of the office easier. New demands for service in small “sleep-cities” will be raised as a consequence . Apart from that it will create a more relaxed life for more people. Our private home is a hub towards all exciting in the surrounding world. Our base-camp in cyberspace! The technique will, and shall, be a tool for the “good life”. I live in New York City that is the epicenter of cross-cultural mass globalization. More worldwide companies than ever are using NYC as a launch pad for new glocal concepts. The result is a city that hosts 1000’s of up-to-the-minute flavors from everywhere and there is a constant flow of provincial designer superstars entering the retail landscape. The remarkable aspect is that they claim authenticity for designs being shaped and influenced by regional cultures. Despite the fact that they are beaming in from all corners of the world the collections are looking surprisingly similar. So could it be that the practice and acceptance of a local design essence is nothing less of a designer dream? Isn’t the core responsibility of the designer to protect and promote the characteristics of the regional heritage? And, could this become a reality through yet another global star gazed designer who wears the black global designer uniform and pray endless praise to bent plywood? The key to regionalism lays in the convergence and interpretation of homespun contemporary folklore with pan-global high-speed trends. A brilliant example of the power of interpretation is G.O.D (goods of desire). This Hong Kong based design & interior company interprets west world styles and filters them through layers of Chinese traditions. The visual cleansing generates an Asiafication that appears completely homemade and speaks directly to the local consumer taste. designers present and sell their work in a modern-day bazaar like experience. The main difference between this format and the high-end boutiques around the corner is that you actually get to interact with the designer and hear about the inspiration behind the work. At the end of the day it seems the true representative for local essence is food. And as people around the world are using preparation tools that are designed to simplify the process, the common quality that sings in all languages is functionality. The real sense of glocalism is when you are allowed to connect with whatever culture you are interested in for the moment and use a well defined kitchen tool with it’s universal quality of utility that enables you to create your own magnificent local flavor. In this issue we proudly present an interview with Mattias Hansson, editor of Magasin Skåne. You are responsible for a new lifestyle magazine – Magasin Skåne – that has a regional focus. Tell us about this magazine and the story behind it? Magasin Skåne is the first Swedish investment on an editorial driven magazine, entirely aimed on a confession of love to ONE geographic region. Our models are American Texas Monthly and French Cote du Sûd. The idea was that if we would do this somewhere in Sweden, it must be in Skåne -”Sweden’s Texas” – that has a very strong own regional identity, on all levels. The magazine aims itself primarily to inhabitants in Skåne and secondly to all Skåne-fans worldwide. What is the core question of regionalism? All regions must find their own specific identity, decide what to do and do it! Everyone can, everyone has something. ”hello-up-there-in-Stockholm–don’t-forget-us-down-here-and-as-you-do-we have-to-fix-it-all-by-ourselves”. It’s not a coincident that Turning Torso stands in Malmö. It’s no coincident that Americas Cup took place in Skåne. It’s even not a coincident that one of the world’s best soccer player comes from here (Zlatan Ibrahimovic). We have to do it ourselves, fight twice as hard. Skåne is like the single woman in a Swedish board room. Which forces are behind regionalism? Globalisation’s biggest advantage is that it forces regionalism to appear. The more uncertain it becomes out there, the greater is the need for the regional and the local. This trend we will see in all from fashion to design and architecture. Enjoy what you have, you don’t know when a multinational company arrives to take over your local heel bar. Now, we take back and hold what they try to take from us. The next ten to twenty years will be the years of the regionalism. It will flourish on all fronts. Are there any similarities between regionalism and fanatism/fascism etc? – It’s about not getting fanatic. But I believe that risk is decreased by the global information flow. The second world war would never have happened if the German people had been more informed. We don’t need to worry, the “world” knows better today. Therefore, I believe that terrorism will stop as a threat as well. They are too few – we who “know” are greater. – Regionalism only becomes bad that day we do not let others in. Openness combined with regionalism are the bricks that will build the future. Actually, it’s not awkward. Check out a local newspaper in USA, it seems more like the region’s extended PR-channel. In Sweden local newspapers still play the role of “we-and-them”, where the enemy is the municipality that only wants the citizens bad and will consume the taxpayers money on official dinners. This phenomena is changing. Check out a Swedish local newspaper today compared with one ten years ago, you see that the will to create local and regional communities has increased. Is regionalism just a lifestyle that can be seen as the result of increasing uncertainty (9-11, Bird-flu, etc.)? – Not only. But it’s a part of the truth. We want home to be ”home-sweet-home” again. How can you combine design together with Skåne and “skånsk” regionalism? – It’s about finding and using the unique. Skåne is still searching after its unique design soul. It has been done and it’s still done: design of Skåne nervously stare towards Denmark, but now it’s time to pick up the uniqueness of Skåne. Materials of Skåne, architecture of Skåne, boldness of Skåne, country people textile, natural beauty… The one that will be first with unique expressions around this wins. Question what’s going on, and question your own daily activity! Do you really do what you want to do? Do you act the way you want to act? Will you go on in the accelerating “hamster wheel”? Or do you have the will and courage let go of career, status symbols or what ever it is, to join a future way to live already today? Good life is a wide description; everybody has a vision of it. We see a future of local power, local food and local commodities; all this will build a local identity and become a supreme local brand. This is the new way to compete; away from mainstreamisation, less environmental pollution, less transports, better and more qualitative products. And we see great opportunities in this new way. The global brands must re-think and start to adapt a creative regional thinking instead of the predictable smoothed-out and worn-out global behaviour that is dominating today. We think it would be very interesting to see a unique regional version of “What-ever-international-branded-hotel” in Budapest, Berlin or Buenos Aires. Where the brand name will communicate the promise about quality and service, but with local design and production. We do also want to see regional versions of global luxury fashion brands. Sadly we see things happening the other way around as well. One recent example is the superb furniture store Svenskt Tenn in Stockholm (which holds mostly Josef Frank designs) that just opened a new branch at Liberty in London. According to us, the magic and the power of a supreme regional brand are lost as soon as it starts to multiply. Choose life. Choose the good life. Choose the good supreme regional life. David Report covers the intersection of design, culture and commercial life with a creative and humanistic approach. 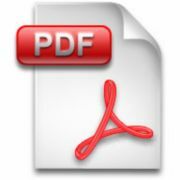 We write about the latest and most interesting news, ideas and concepts concerning art, architecture, culture, design, fashion, music, sustainability and travel with a holistic and culturally connected mindset. David Carlson is a figurehead in the international design community as a culturally-connected trend insight specialist and multi-disciplinary design thinker. He’s the publisher of The David Report, a leading trend report highlighting controversial and illuminating observation about design in our lives today. His entrepreneurial ventures include furniture and fashion brand David Design (which he left 2006) and Carlson Ahnell, a lifestyle boutique that recently was regarded as ’one of the top 10 boutiques in the world’ by The Observer. As co-founder of Designboost, he provides knowledge and connection for designers, institutions, corporations and governments. He is regularly invited as a speaker, moderator and panel member at conferences worldwide. David has been playing guitar in bands since the early 80s, most recently with The Happy Four. And last, but not least, he holds a deep dedication to the conservation of nature, and more specifically, old roses.